One of the first things when planning a wedding is finding and booking the location for your grand affair! 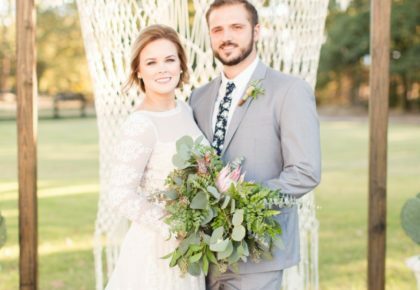 Although you might not know just what venues North Texas has to offer, Brides of North Texas does! 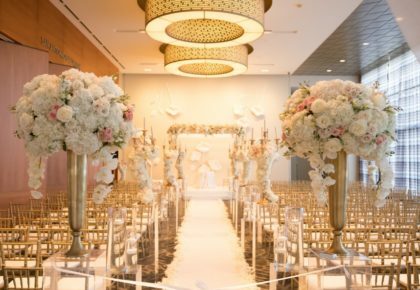 We have all of the need-to-know info for DFW’s top wedding venues. 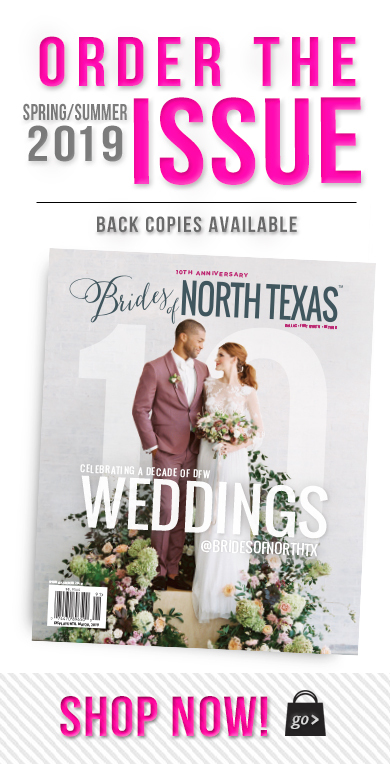 Each issue of Brides of North Texas magazine features an extensive section outlining the top venues in the region and what they have to offer. If you download our app from iTunes, you can browse dozens of locations with ease and sort to find your favorites by price, capacity and location! You can even save your top picks to your favorites folder on the app! 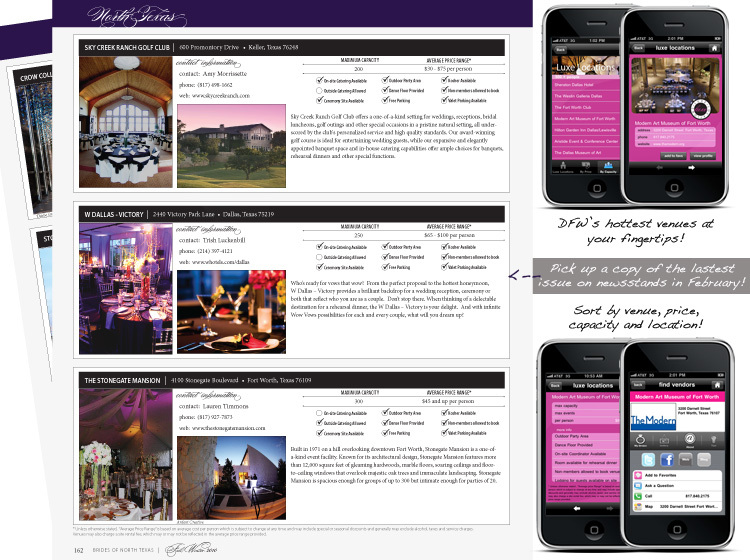 With a variety of venues from country clubs and ballrooms to outdoor gardens and museums, find out even more information about the venue and contact them with the click of a button. 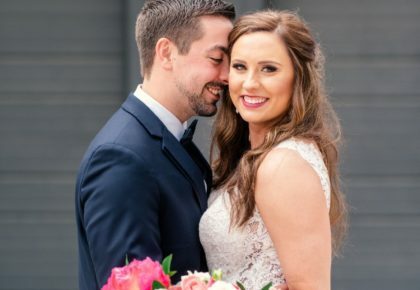 Whether you’re browsing the Web, magazine or iPhone app, DFW’s top wedding venues are at your fingertips with Brides of North Texas! Enjoy!